Creating something satisfying. And when that something you’ve created rocks your world, it’s outrageously satisfying. For me, that something is carrot cake. 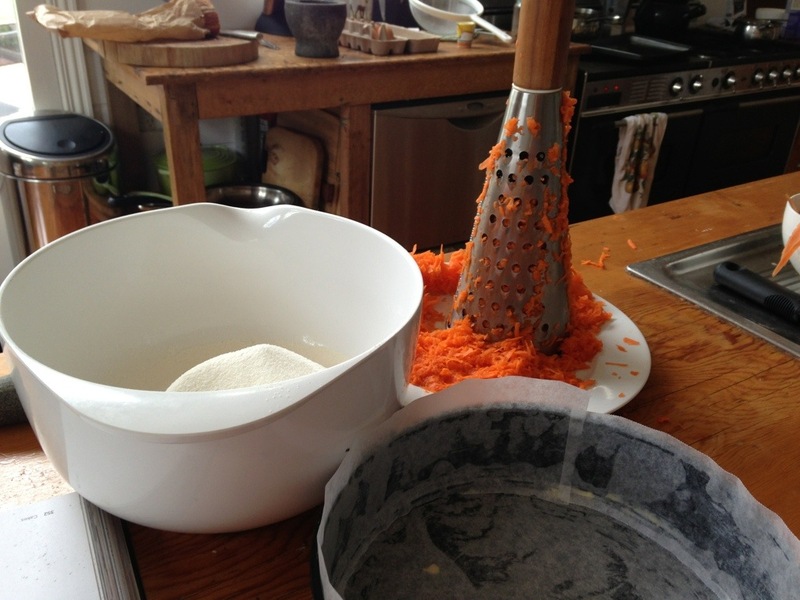 I love carrot cake and I found a great recipe in “Bake Essential Companion” by Alison Thompson. I like to put my own spin on things, so I substituted half the sultanas for crushed raw nuts and I reduced the sugar by one third. 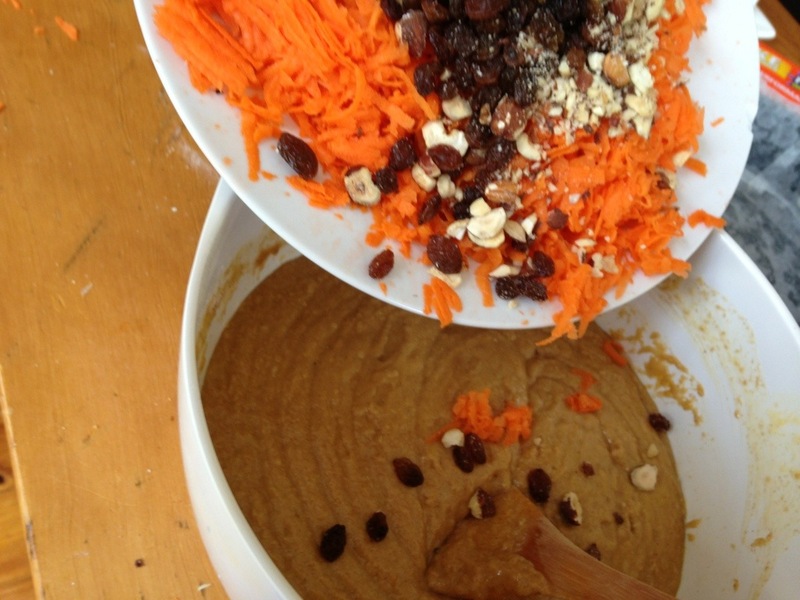 Turns out the sweetness of the carrots and the nuts worked a treat! I did have a dilemma however: my baking tin was two inches smaller than what was required. I contemplated eating the mixture (it was that good!) but then pictured the carrot muffins displayed proudly on the counter of the café in town. 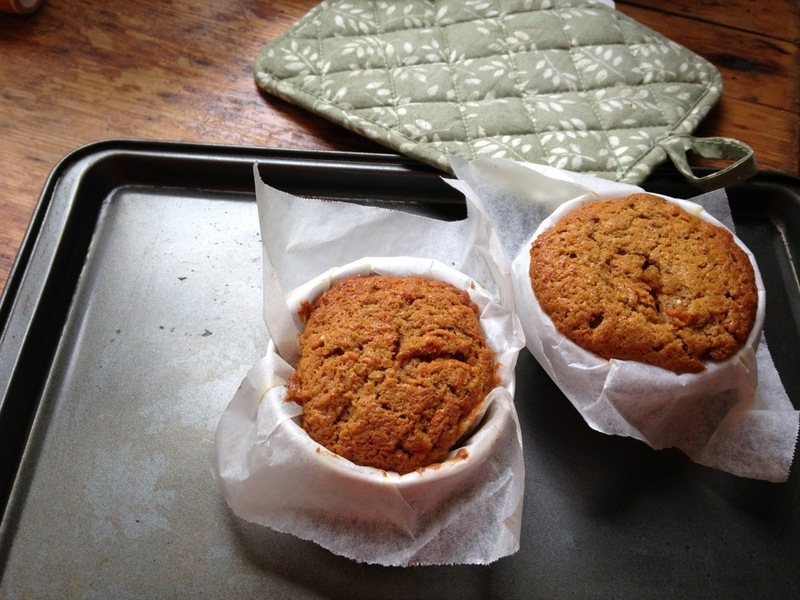 I grabbed some baking paper, lined the muffin tray and there was just enough mixture left over for two carrot cake muffins, perfect for Hubby and me! The cream cheese frosting really was the icing on the cake(s)! Carrot cake is definitely my favorite too!